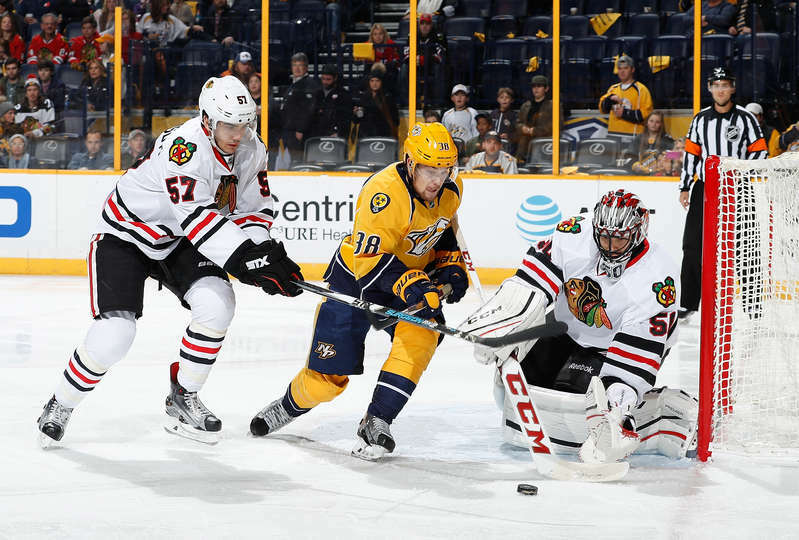 Patrick Kane scored the go-ahead goal with 5:12 remaining in the 3rd period, as the Chicago Blackhawks held on to beat the Nashville Predators 3-2. 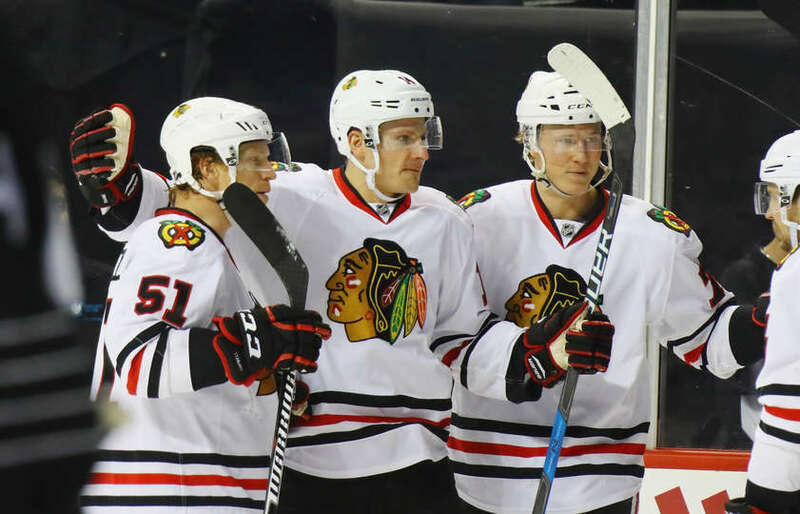 The Blackhawks started sluggish again as they were outshot in the first period, 15-6. Although it was Artem Anisimov's 15th goal of the year, a neat deflection in front of the net, while on the power play that gave the Hawks a 1-0 lead. 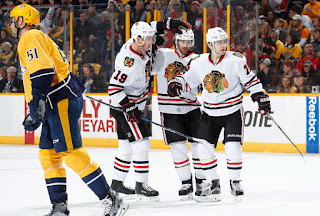 They enjoyed it for a total of 35 seconds as a failed clearing attempt by Dennis Rasmussen was kept in and deposited into the Hawks net by Filip Forsberg. The second period started no better. 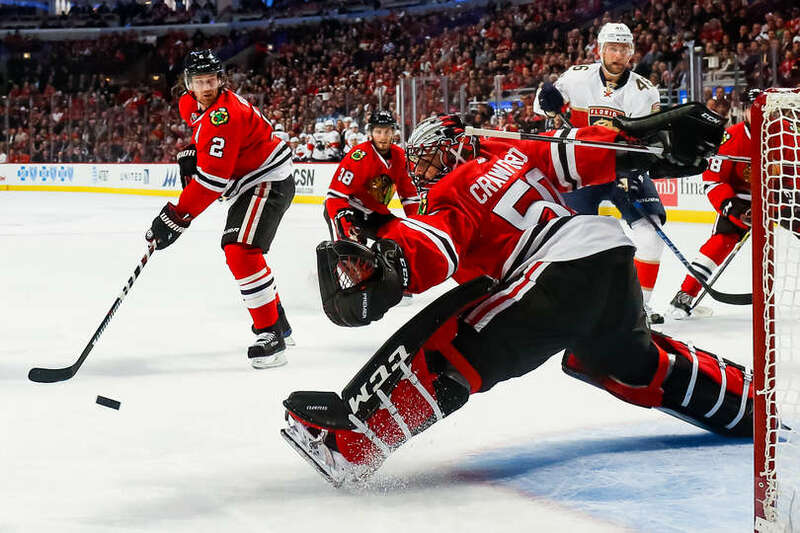 Fortunately, Corey Crawford (36 saves) was once again on top of his game. The score remained tied until Mike Fisher converted on a power play, six minutes into the 3rd period. 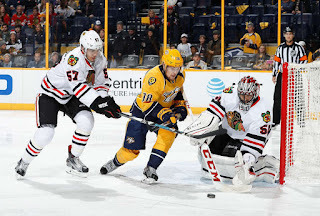 After a questionable penalty drawn by Crawford, Jonathan Toews scored his 6th of the year, on the power play, on a deflection in front of Predators goalie, Pekka Rinne. The Preds pressed at the end of the game, but to no avail. Notable Mentions: Kane's GWG was his 700th point of his career. Artemi Panarin extended his career-best point streak to 9 games with an assist tonight (5G 10A). 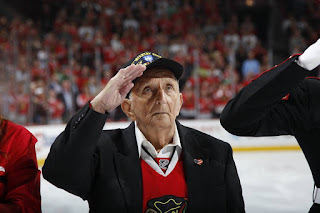 Brain Campbell was a healthy scratch for the Hawks which stopped his Ironman streak of 423 consecutive games played. 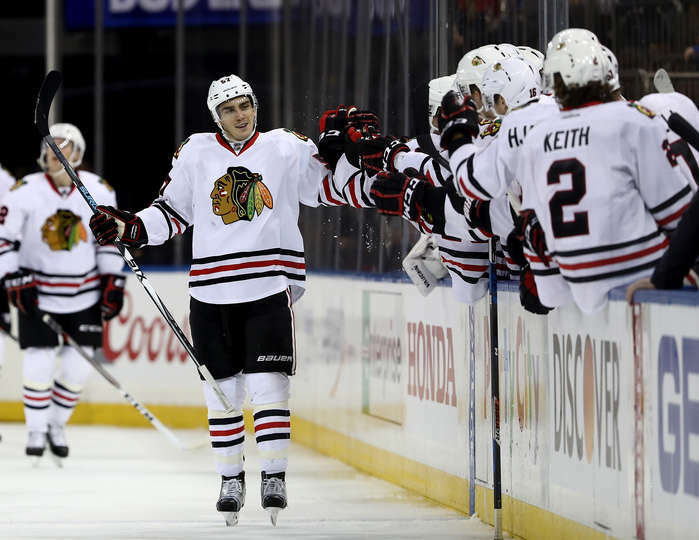 Anisimov's goal gives him 6 goals in his last 7 games. He also leads the league in shooting% (26.7%). The Blackhawks combined for 23 blocked shots tonight. Stan Bowman's basket weaving talents continued today as he was able to sign Blackhawk superstar, Artemi Panarin, to a two year extension worth $6 million per year. 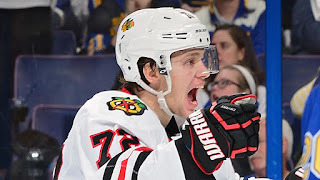 It had been rumored that Panarin was looking or an extension in the range of 6 years at $7 million per year. With the concerns of the NHL salary cap being stagnant after the upcoming year or with a slight increase of $1-2 million, the Blackhawks have traded one headache for another. Panarin is under contact for two more years, but with the Hawks available salary cap for next year at approximately $6.3 million, as per capfriendly.com, and a need to sign anywhere up to 8 players, Bowman will have his hands full again to keep the Hawks in compliance with the cap. Panarin, won the Calder Trophy last year for Rookie of The Year honors, compiling 77 points (30G 47A) in 80 games. He also managed to get himself $2.8 million in performance bonuses. That bonus is applied to this year's cap. He's on his away of earning another $2.575 million in bonus performances based on his current season that will hit next year's cap. currently through 37 games, he has 37 points (15G 22A). 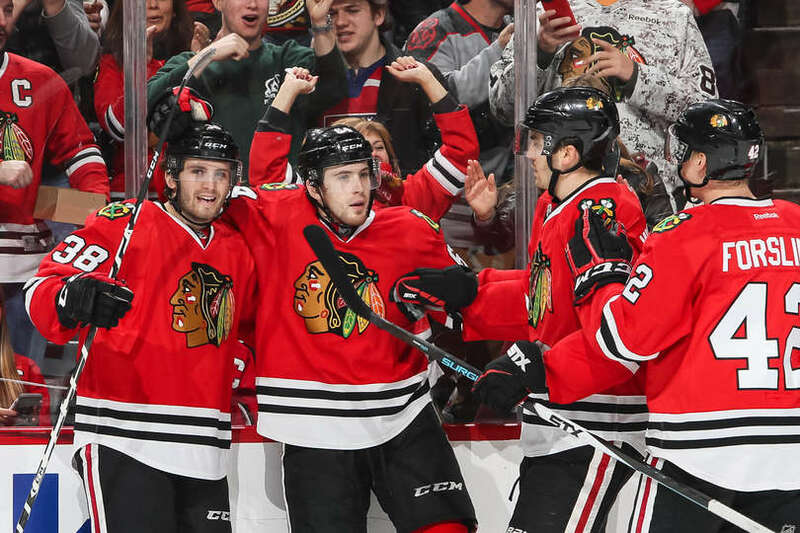 With the addition of the newly granted NHL team in Las Vegas, it is possible that the Hawks may clear some of the cap space and lose a couple of players in the process; Marcus Kruger ($3.08 mil) and/or Trevor van Riemsdyk ($825k). A small price to pay for the talent of Panarin, although Kruger is a cog for the Hawks' penalty kill unit. Regardless, at least for the next couple of years, Blackhawks fans can rest easy knowing that the Breadman will remain a Blackhawk, after receiving his dough. Corey Crawford, 32 saves, played his first game in 3 weeks, and Jonathan Toews scored his first goal since the Sunday after the Chicago Cubs won the World Series, but neither were enough to defeat a desperate Colorado Avalanche team that came into the United Center with a 5-game losing streak. 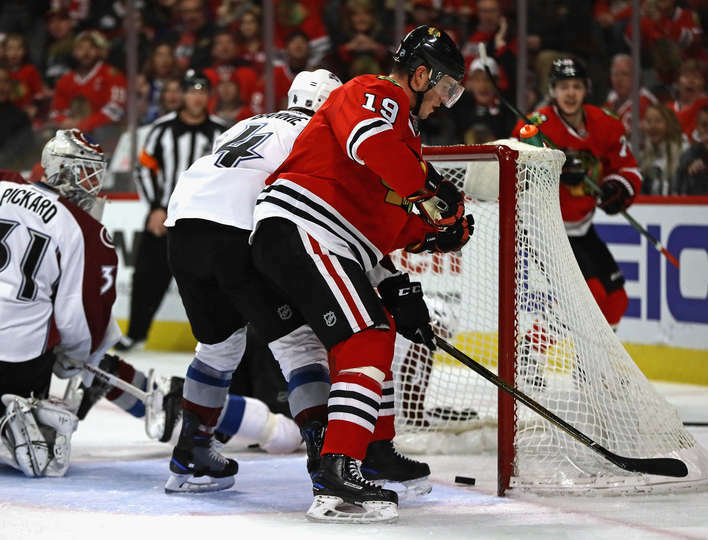 The Blackhawks fell to the Avs 2-1 in overtime. Colorado came in and tried to take control early taking nine of the first ten shots of the game. Crawford was up to the task and was sharp in his first action after his emergency appendectomy in early December. The Blackhawks came back to end the period scoreless but with shots in favor of Colorado, 13-12. In the 2nd, Toews finally broke his 13 game goal drought when he took an Artemi Panarin pass right in the blue paint and slammed it into the back of the net on the power play, his 5th of the year, for a 1-0, Blackhawks lead. 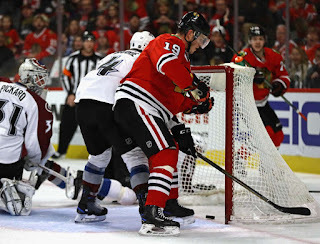 The Hawks had more chances to extend the lead as they had 4 power plays, but Avalanche goaltender, Calvin Pickard, 38 saves, was there to repel the remaining shots that the Hawks had to offer on the night. After the Hawks controlled the 2nd period, but with only a 1 goal lead, the Avalanche pressed the Hawks and broke through when Mikko Rantanen redirected a Tyson Barrie shot behind Crawford to tie the game at 1, 5:42 into the 3rd period. It stayed that way, mainly due to the play of Crawford throughout the game as it would go to overtime. Just :25 into the overtime frame, Nathan MacKinnon wristed a shot over Crawford's glove on an odd man break to end the game. 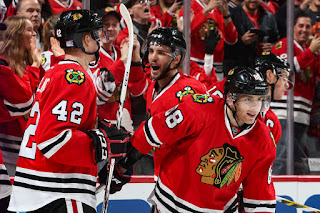 Notable Mentions: The Blackhawks are now 13-0-1 this year when leading after 2 periods. Jonathan Toews was a force tonight as he won 20 of 28 faceoffs, had 7 shots, and scored the lone goal for the Hawks. The Hawks don't play again until Tuesday. A much needed rest for a team that has many of it's members ailing, Artem Anisimov, Marian Hossa, who were both scratches for tonight's game. Toews and Brent Seabrook have been back for the last few games, but rest can only help them along with the rest of the team who have played more games than only 5 others in the league (36 games - NY Rangers, Flyers, Bruins, Flames, and Jets). The Ottawa Senators (19-11-3, 41pts) hadn't won at the United Center since 2001, when Marian Hossa scored...for the Senators. Tonight, it was 2 goals scored in 10 seconds and a power play goal by Dion Phaneuf, all in the 2nd period, that gave Ottawa a 4-3 victory over the Chicago Blackhawks (22-9-4). The Blackhawks once again were playing catch up early on as Bobby Ryan scored his 7th goal of the year to give the Sens a 1-0 lead, 4:30 into the game. Artemi Panarin would tie the game with his very familiar one-timer on the power play. 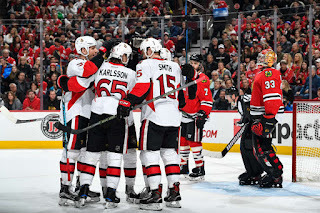 Then the wheels fell off for the Hawks 7:31 into the period when Derick Brassard and Tom Pyatt would tally for the Sens in 10 seconds to give them a 3-1 cushion before Tyler Motte scored his 4th of the year to break a 14 game pointless streak, and bring the game to 3-2. The Blackhawks were called for five penalties on the night, and it was the third penalty where Ottawa cashed in as a shot from Kyle Turris grazed off of Phaneuf and past Scott Darling (26 saves) to put the Senators up 4-2. 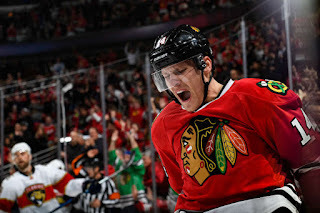 Richard Panik would make the 3rd period interesting as as a friendly bounce was put into the back of the net 1:32 into the 3rd to bring the Hawks to within one. Marcus Kruger would draw a penalty shot, but Senators' goalie, Mike Condon (23 saves), stopped him. Panik rang a shot off the post late in the game and Jonathan Toews had a loose puck in the crease, but could not come up with the equalizer. Notable Mentions: Marian Hossa left early in the 1st period and did not return to the game. His status is an (upper body) injury and is questionable for Friday's game against Colorado. Brent Seabrook's assist on Panarin's PPG was his 300th of his career. Artemi Panarin extended his point streak to 7 games (5G 7A - 12pts). 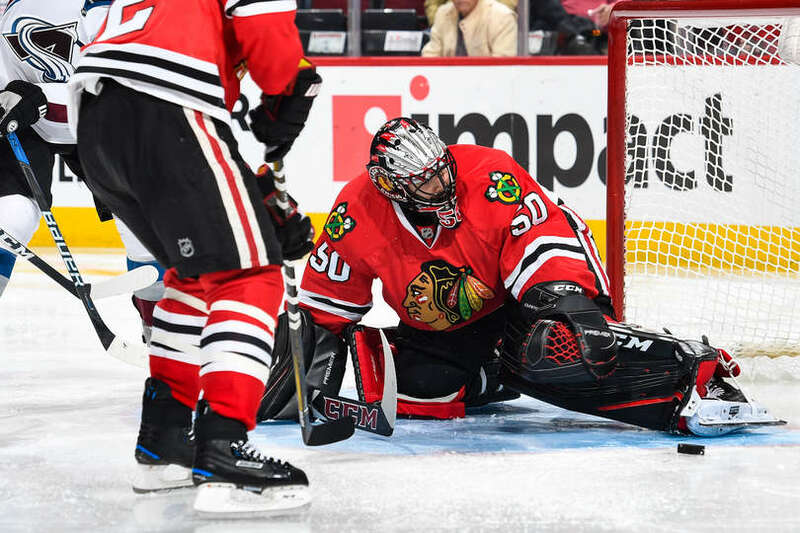 Corey Crawford, out since December 3rd from an emergency appendectomy surgery, may return Friday. 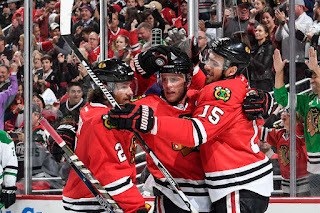 Ryan Hartman and Vinnie Hinostroza, both had a goal and an assist, and Scott Darling had 33 saves in route to a 4-1 Blackhawks victory Sunday night over the San Jose Sharks. Darling, a Lemont native, played back-to-back games, after defeating the St. Louis Blues, 5-4 last night, came up with 33 saves in a huge win tonight against the Pacific Divison leading Sharks. Hartman, a West Dundee suburbanite, notched his 2nd game-winning goal of the year. Hinostroza, a native of Bartlett, scored his second goal in as many nights. After a scoreless first period, the Sharks got on the board first when Joe Pavelski tipped a Brent Burns shot from the point, and deflected it past Darling, 1:13 into the second period. 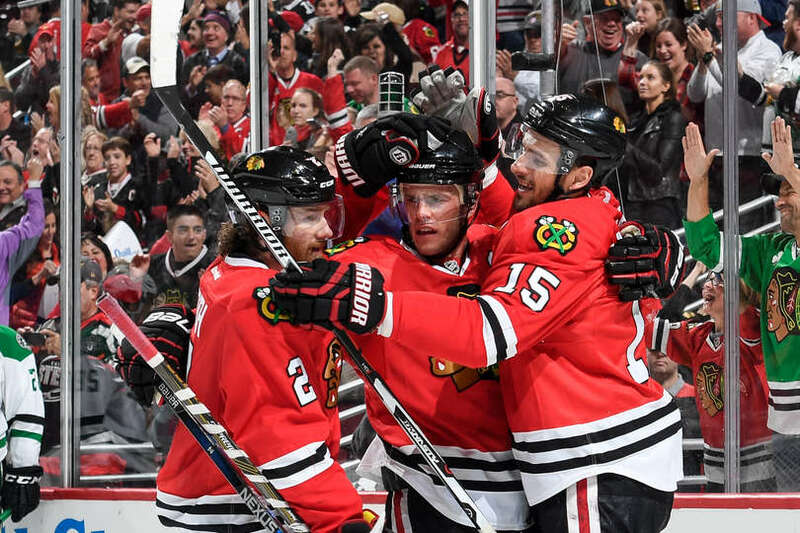 With just over three minutes remaining in the period, Duncan Keith rifled a slapshot past Shark netminder, Martin Jones, for his first goal of the year to tie the game at 1, heading into the second intermission. Hartman then took a puck from a Hinostroza face-off win, and snapped his 6th goal of the year past Jones to give the Hawks the lead near the seven minute mark. Hinostroza, then gave the Hawks an insurance goal with under four minutes left in regulation when he wristed his 3rd goal of the year, 5-hole, through Jones. Patrick Kane added an empty net goal, his 10th of the year. Notable mentions: After going goalless over the last 9 games, Kane has scored in his last 2 games. With his performance tonight, Darling and Crawford, both, have a .927 save percentage. Artemi Panarin now has a 5-game scoring streak (4G 7A), +5. Kane's goal brings him within 5 points of 700 for his career (261G 434A - 695pts). The Sharks scored first tonight and were 14-4-0 when doing so. Add one to the loss column after tonight. 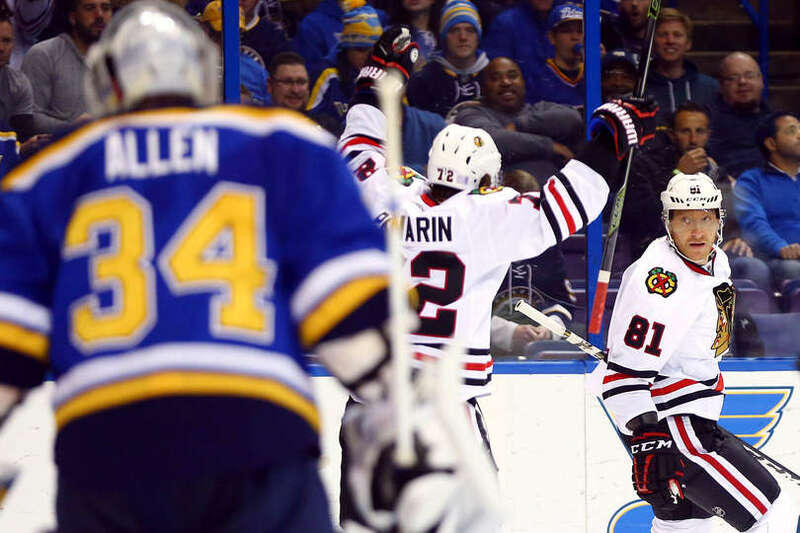 The Chicago Blackhawks finished their 3 game road trip by battling back 4 times and beating the St. Louis Blues, 6-4. 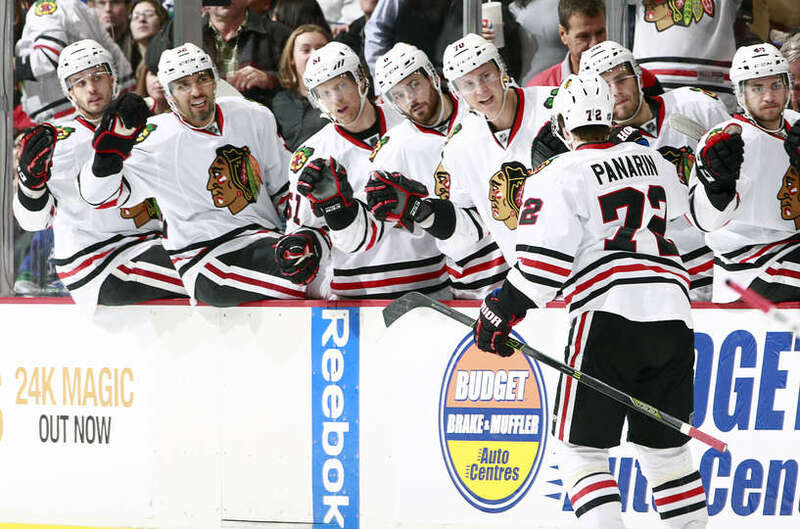 Artemi Panarin had a goal and two assists, and Vinnie Hinostroza notched his first career game-winning goal. 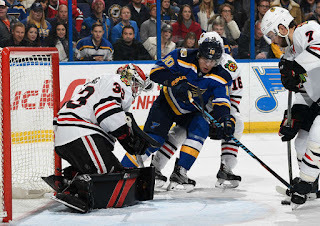 The Blues got on the board early as Patrick Berglund cranked up a slapshot that Scott Darling got a glove on, but it trickled agonizingly slowly behind him as it trickled into the net, just :41 into the game. The Hawks would tie it on a nice play by Dennis Rasmussen at the end of the period with :26 remaining in the frame. A game of back and forth occurred in the second period as both teams traded goals 5 times. The Blues scored one of their goals on a bizarre play that saw a shot slide across the ice, hit a broken stick, and have eyes, as it went 5-hole on Darling. 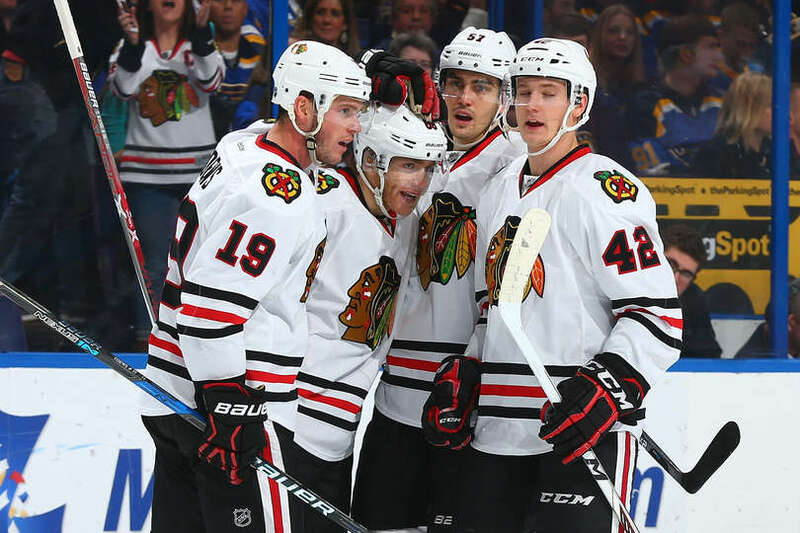 But in the 3rd, it was all Blackhawks, after entering the period down, 5-4, Niklas Hjalmarsson tied the game, just a minute it. Then with less than 5 minutes remaining in regulation, Hinostroza took a rebound shot and back-handed it into the net for the Hawks' first lead of the night. Panarin would add an empty net goal in the end. 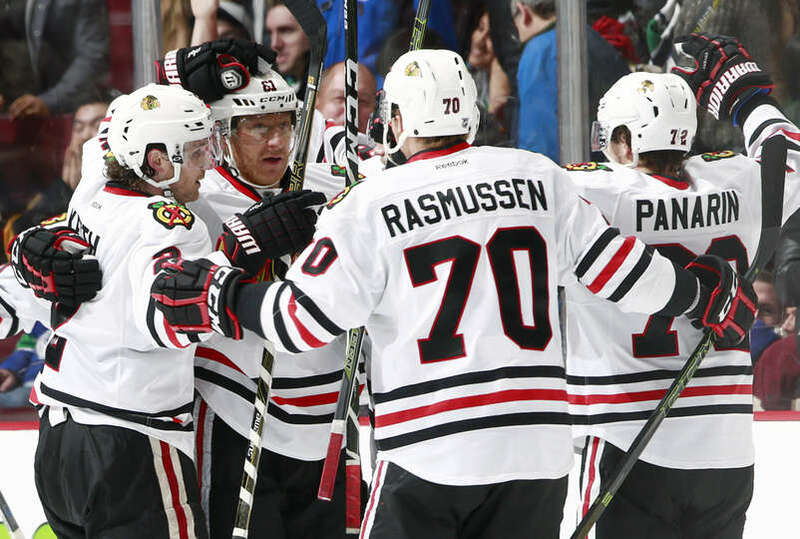 Notable mentions: The Blackhawks had to come back on four separate occasions tonight. They did that without the services of Artem Anisimov who left the game early in the 1st period with an upper body injury. Coach Joel Quenneville has listed him day-to-day until further notice. In his absence, Marcus Kruger filled in well with two assists on the night. Scott Darling won his 4th straight and has accumulated a 5-2-1 record since Corey Crawford went down with emergency appendicitis surgery. The Hawks now hold a 6 point lead in the Western Conference. It was the Hawks' fourth consecutive win. Artemi Panarin had two power play goals and an assist as the Chicago Blackhawks outlasted the New York Islanders, 5-4 in Brooklyn Thursday night. The Islanders jumped on Scott Darling and the Hawks early with 2 goals in the first 3:48 of the first period thanks to an aggressive and desperate Islander team who are currently the bottom dwellers in the Eastern Conference. Then the key play of the game happened 5 minutes later when Ryan Hartman laid a good, clean hit on Casey Cizikas, who took exception and was tossed into the penalty box for Roughing. Hartman did not bite and did not take a penalty with him. Shortly afterwards on the power play, it was the "Breadman", doing what he does best and one-timing a shot past Islanders goalie, Thomas Greiss, to cut the lead in half. The second period was more defensive as both teams traded goals. The Hawks tallied with :21 left in the period on Panarin's 2nd PPG of the game. The penalty, was the second drawn by Hartman. The third period was tightly played until Richard Panik shot one past Griess 13:47 in for his 8th of the year. From then, the Hawks played their game and held on for the win. But it was the play of Hartman that sparked the team. 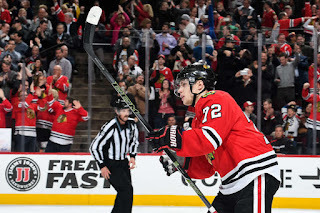 He drew two penalties, rattled Cizikas with a hit, and assisted on Hossa's goal. Huge game by someone who is being asked to fill the skates of Andrew Shaw. Notable Mentions: Brent Seabrook played his 874th career game as a Blackhawk, which puts him 9th on the Blackhawks All-Time games played list. Duncan Keith's two assists tonight, put him ahead of Pierre Pilote for the 4th most points by a Blackhawks defenseman (476). The Blackhawks were a perfect, 3 for 3 on the power play. When Stan Bowman traded away Brandon Saad two off-seasons ago, there were many upset fans. 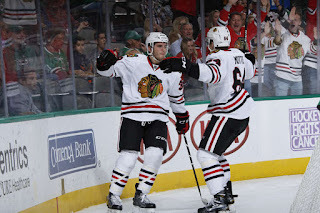 Saad, a fan favorite for 2 of the last 3 Blackhawks Stanley Cup Championships, was traded to the Columbus Blue Jackets in a move that brought Artem Anisimov and highly touted rookie, Marko Dano to the Hawks. 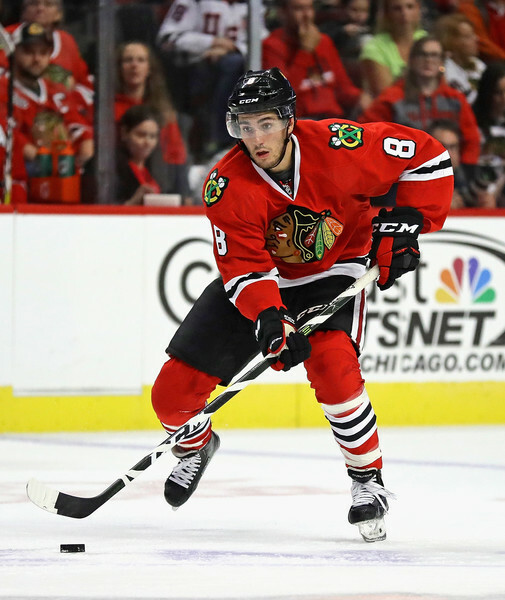 Saad, was due a hefty contract which the Hawks could not afford. So Bowman traded him and got plenty in return instead of just losing him to free agency. Marko Dano was traded a year later to the Winnipeg Jets as part of a short-term lease for soon-to-be-free-agent, Andrew Ladd. Although that didn't pan out, , Anisimov, then 27, was the cog that Bowman had been looking for. The Hawks had been in dire need of a second line center for quite a while. When the Saad trade was complete, it took Bowman no time at all to sign Anisimov to a 5-year extension. Many were not sure what they were getting with Anisimov other than a 6 year veteran who had somewhat underachieved since coming into the league. Shortly after Anisimov was signed, another signing was made that proved Anisimov more valuable than his play on the ice. 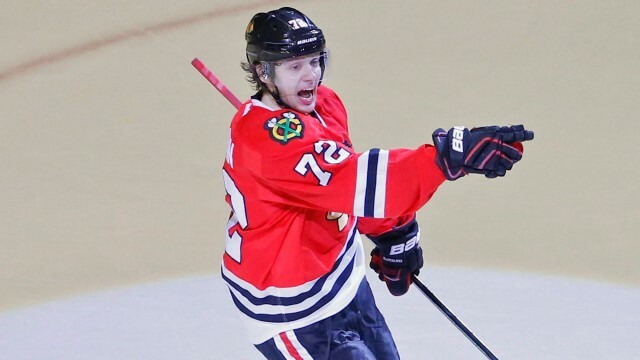 KHL phenom, Artemi Panarin, referred to as the Russian Patrick Kane was signed. Panarin, speaking very little Englsih, relied heavily on Anisimov as a translator. With Anisimov's help during practices and in games, Panarin turned out to be the Calder Trophy winner for NHL Rookie of the Year honors. Patrick Kane won the Art Ross Trophy for most points in the league, along with Hart Trophy for MVP of the league. Who was the center of that line? Artem Anisimov. 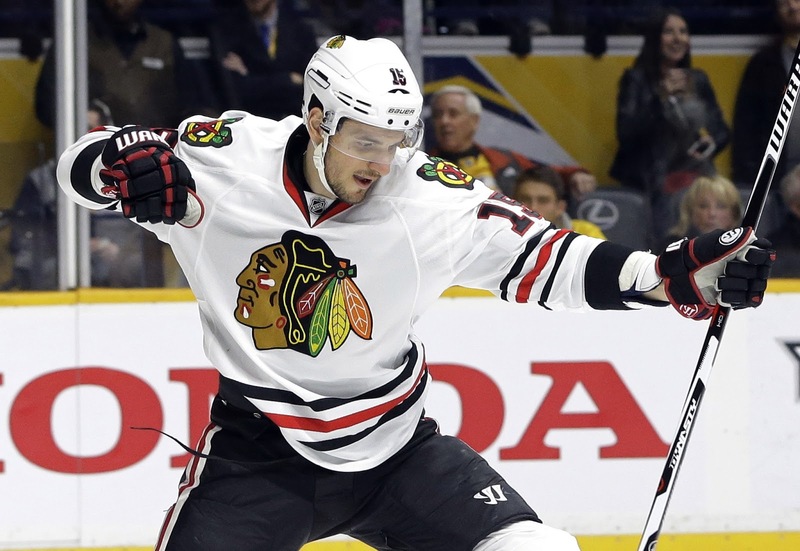 Last year, Anisimov scored 20 goals for just the 2nd time in his career. His 42 points were 2 shy of a career high. This year, through 30 games, Anisimov is on pace to shatter all personal records, as he already has 13 goals and 13 assists for 26 points, . Although Anisimov is a big center, winning faceoffs have proven to be a bit of a struggle at times. Not all of which is his fault. Wingers are a big part of winning faceoffs as well. And although Panarin and Kane are two of the deadliest linemates in the league, they are not very big which tends to allow them to be pushed off pucks at the faceoff dot. What Anisimov brings most desperately is something that the Blackhawks have not had since Dustin Byfulgien was on the team. Then head coach, Denis Savard, had talked about "Commit to the Indian" because no one brought net presence to their game. Willingness to take a puck off the inside of one's ankle to make a play. This, Anisimov did no more than two weeks ago and hobbled off the ice. 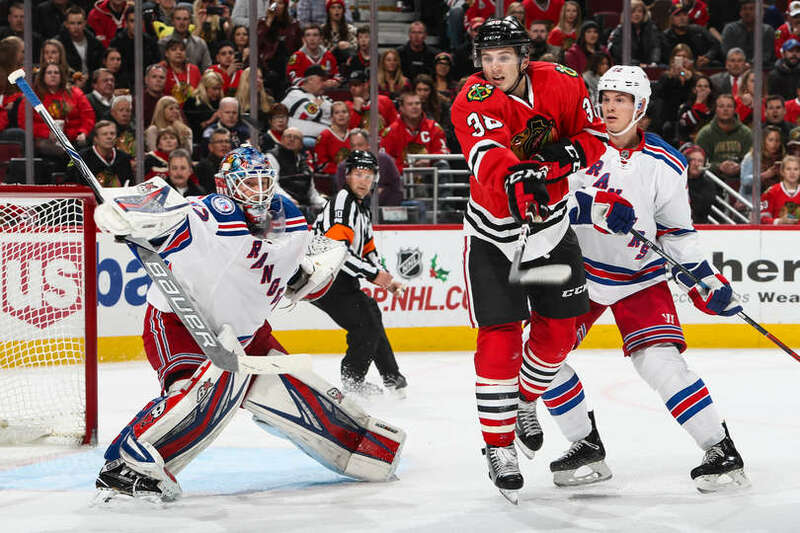 Anisimov's size and presence can bring frustration to any goalie in the league. 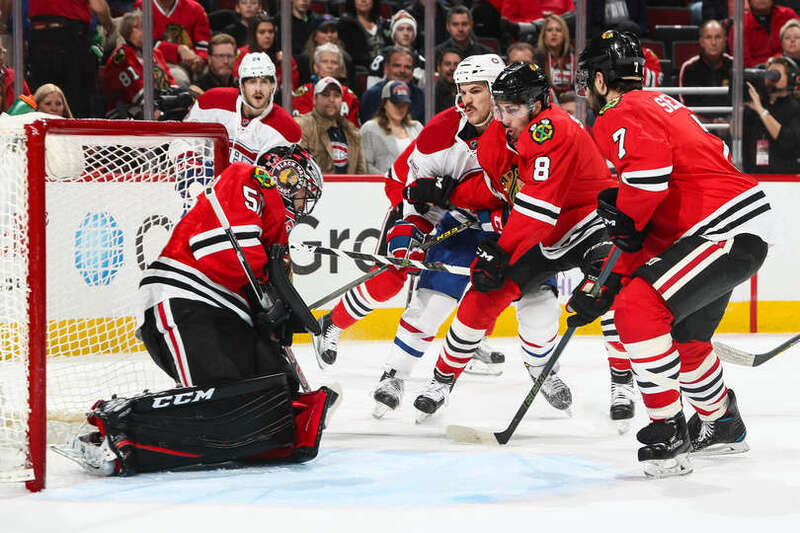 Last year, Anisimov, although he may not have gotten a point on the play, screened goalies at least a half dozen times as either Kane or Panarin scored. This year, Anisimov's game has turned into not only screening goalies, but staying in the dirty areas in front of the net to pick up the loose rebounds and getting those dirty goals. As mentioned, Anisimov is in the first of his 5 year contract extension. At what price? A mere $4.5 million, which if he keeps these stats up, Bowman has made yet another steal of the century. 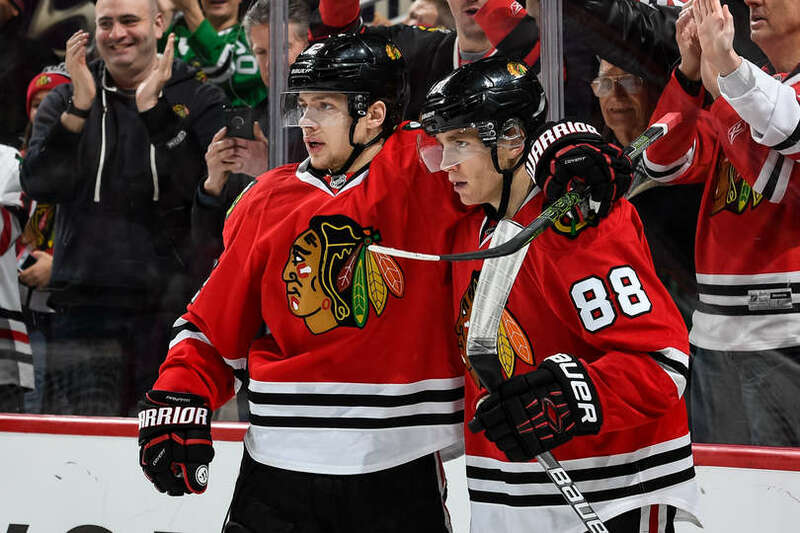 That saved money, will be needed to help try and retain Artemi Panarin, who is rumored to be seeking $5-$6 million per year on a long term contract. In the meantime, Anisimov is proving his worth in gold on making the Blackhawks a favorite to bring home Lord Stanley's Cup again. 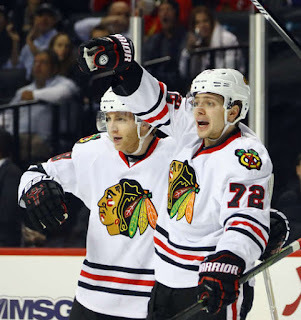 And if the Hawks do, they can no doubt attribute that to Anisimov. Which means, Chicago would be ready to throw an Arty Party! The Chicago Blackhawks found themselves playing the New York Rangers for the 2nd time in the last 3 games. And in 3 of the last 5 meetings between the two teams, the score has been 1-0. Each of the last 3 contests, the road team has won the game. 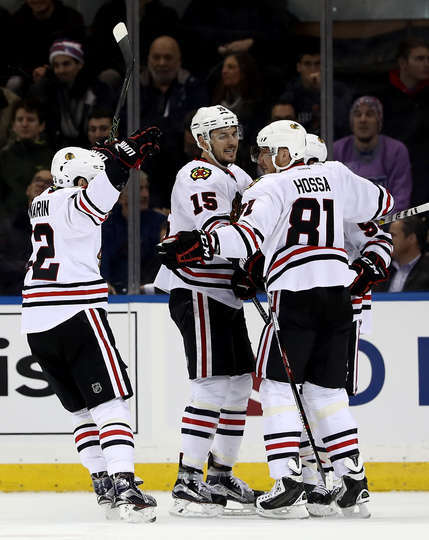 This game was no different as the Hawks squeaked out a 2-1 victory at Madison Square Garden. Scott Darling and Antti Raanta have been outstanding for both of their teams as of late. Both started where they left off as after 20 minutes, there was no score. In the 2nd, one would say the flood gates were open as both teams combined for 3 goals in the period. The Hawks got on the scoreboard as Trevor van Riemsdyk joined a rush and received a pass in the slot from Artemi Panarin and snapped it past Raanta for a 1-0 lead on his first of the year. It was short lived as Jesper Fast made a nice play to swat the puck out of mid air as it spurted over the top of the net and he whacked it past Darling to tie the game at 1. 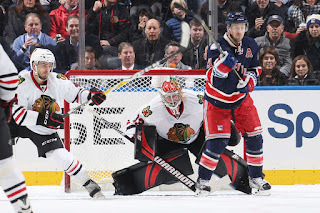 With less than two minutes remaining in the frame, Artem Anisimov scored his 13th goal of the year as he took a pass from a streaking Brian Campbell from behind the net and buried it behind Raanta for a 2-1 lead. The third period was another goalie clinic by both goalies. This time Darling was the winner with some remarkable standout saves. Darling's free agent status at the end of this year has been brought up. When asked about it after tonight's game, he said, "I'm auditioning for the Blackhawks right now. I want to be a Blackhawk." Let's hope that he does. He's building himself up for a nice pay raise at the end of the year. 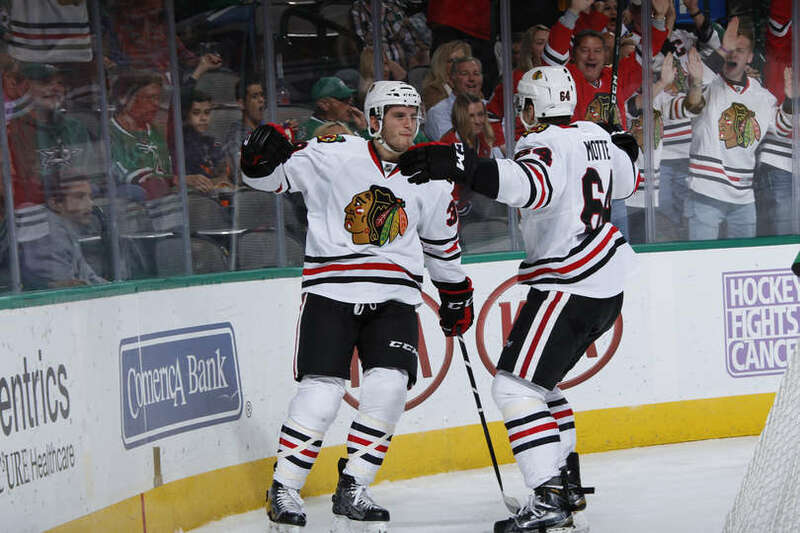 Notable Mentions: Both, Jonathan Toews and Brent Seabrook returned to the lineup after recovering from injuries. Neither appeared on the score sheet, but they were both effective in their return. Anisimov's GWG now was his 6th of the year. That ties him for the league lead in that category. The Chicago Blackhawks came into tonight's game scoring 6 goals in their last 4 games. They were hoping to get their scoring touch back against a Dallas Stars team that has only won twice in their last seven games. 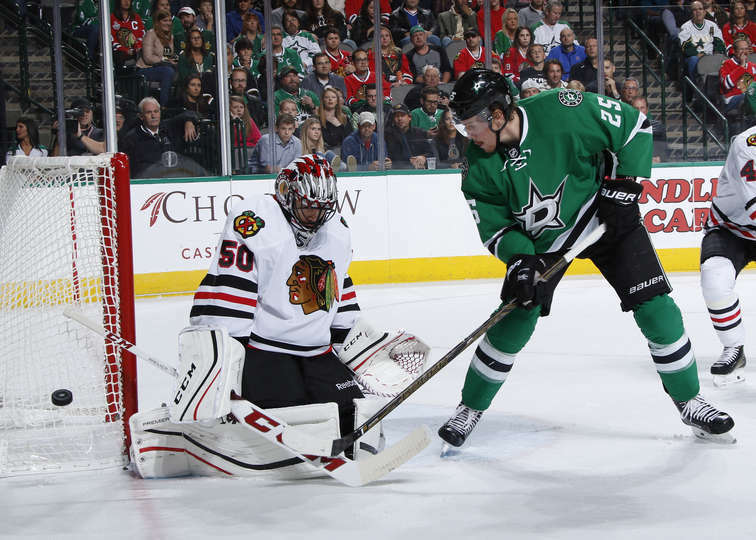 They responded with netting 3 goals behind Stars' goaltender, Kari Lehtonen, on their way to a 3-1 victory. After a scoreless first period, Dallas got onto the scoreboard early in the 2nd, as a 4-on-2 ended with Devin Shore scoring his 5th of the year to give the Stars a 1-0 lead. 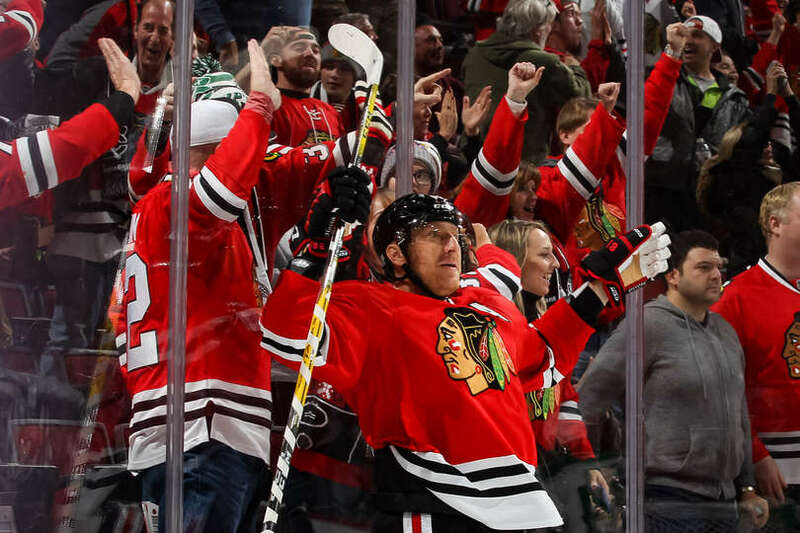 Less than a minute later, it was the ageless Marian Hossa, with his 15th goal of the year to tie the game at 1. Ten minutes later, Artem Anisimov had a puck deflect off of him and in the back of the net for his 12th of the season to give the Hawks a 2-1 lead. In the 3rd, Artemi Panarin scored on a one-timer from an impossible angle to put the nail in the coffin to make it a 3-1 Blackhawks lead. Scott Darling had another strong game with a 23 save performance for the win. Quenneville on the play of Darling, "The one thing that has been consistent this year has been our goaltending." 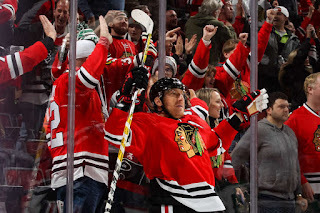 Notable Mentions: Marian Hossa's goal was his 514th of his career, putting him ahead of ex-Blackhawk, Jeremy Roenick for 38th on the All-Time goal list. Ryan Hartman had a strong game with an assist, 4 shots and 3 takeaways. 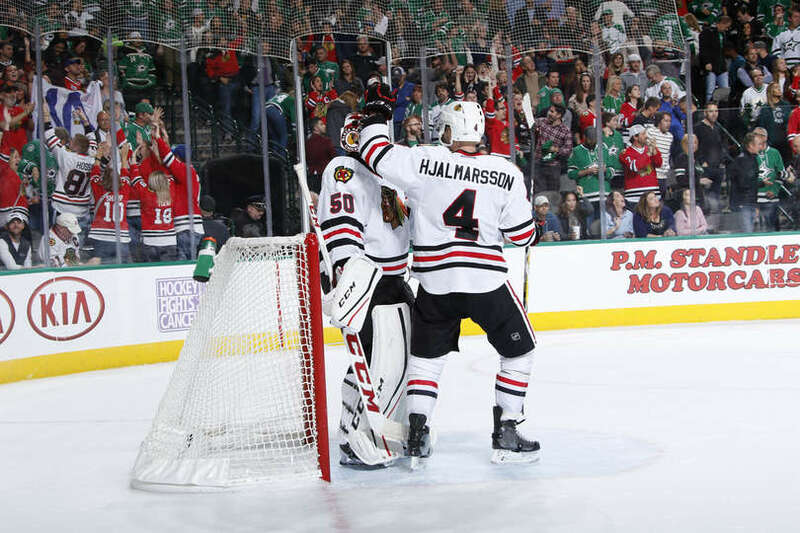 Niklas Hjalmarsson led the way again for the Hawks with 4 blocked shots. Antti Raanta and Scott Darling put on a goalie clinic at the United Center tonight as an Original Six matchup between the Chicago Blackhawks and New York Rangers ended in a 1-0, Ranger victory in overtime. The Blackhawks had two days rest as the Rangers came to town, but they were without some key members, (Toews, Seabrook, Crawford). The Rangers played the night before in Winnipeg. It isn't often that Henrik Lundqvist sits out back to back games, but Raanta had been hot as of late and he showed it again tonight. 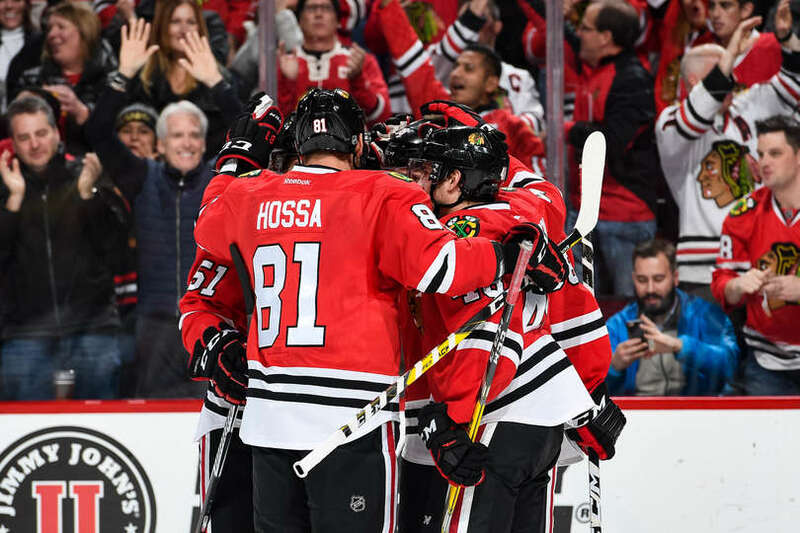 The game was scoreless midway through the 3rd period, when Marian Hossa scored an apparent go-ahead goal, only to have it overturned as Hossa had been offside. But it was Nick Holden who had the game-winner, just :55 seconds into overtime, after a bad shift change for the Hawks. Both Raanta and Darling had highlight reel saves throughout the game. Raanta improves his career record at the United Center to an incredible, 15-0-3. Darling suffered the loss. He had gone 2 regulation games without giving up a goal till the OT goal. His previous game was a 4-0 shutout on Tuesday against the Arizona Coyotes. 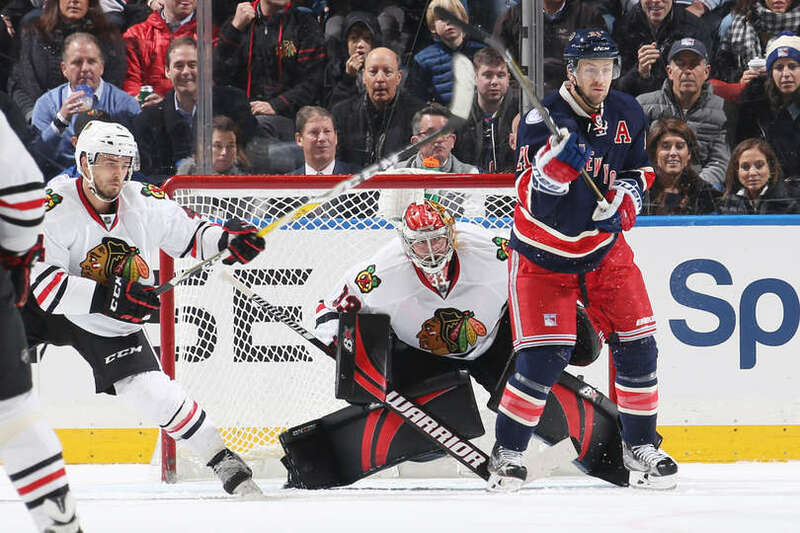 Notable mentions: For the 3rd time in their last 5 meetings, the Blackhawks and Rangers skate to a 1-0 score. Patrick Kane took a hard hit and hit his head against the boards. He left the ice for possible concussion symptoms, but returned to the game after a short time. 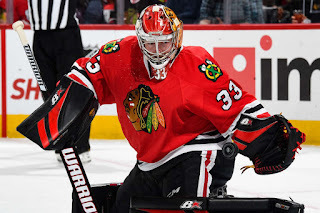 Scott Darling, unfortunately, is now 1-3, since Corey Crawford is out with appendicitis. None of which is his fault considering he has only given up 6 goals in 4 games. 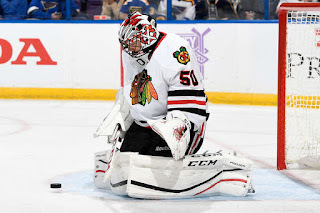 The Chicago Blackhawks this morning recalled goalie Lars Johansson from their AHL affilliate, Rockford Icehogs today and sent down forward, Nick Schmaltz. 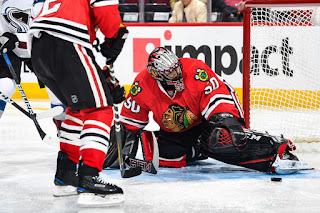 With the sudden departure of Corey Crawford needing an appendectomy yesterday morning in Philadelphia, he will be unable to play for the next 2-3 weeks. This will put Scott Darling in the spotlight to be the big man between the pipes. But for Johansson, this will be the first time he dresses for an NHL team. The 28 year-old this year, is 3-4 with a 2.49 GAA and a .913 SV%. Prior to signing with the Blackhawks this last summer, he has played in his homeland of Sweden. The last 3 years, he has played with Frolunda HC of the Swedish-league. There he compiled a 56-28 record, a GAA of under 2.00 and a SV% around .915. With yesterday being the 2nd half of a back-to-back, and another one scheduled within the next couple of weeks, there is a good chance at some point Johansson gets to make his NHL debut. For Schmaltz, a former first round-pick of the Blackhawks (2014), this year was a year to where he was to make a difference with the departure of Teuvo Teravainen and Bryan Bickell. Although he has shown promise, his game is not quite where the Blackhawks need it to be yet. In 26 games this year, he has just 4 points (1G 3A). The time in Rockford should help his confidence and his decision making. Next game for the Blackhawks is tonight at 6PM CT against the Winnipeg Jets, where they lost their first meeting of the season in Winnipeg on November 15th. A 4-0 loss to start the circus trip. 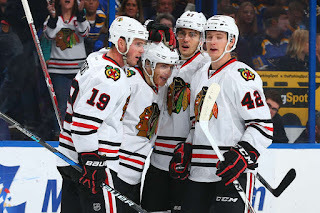 The Chicago Blackhawks came home from the annual circus trip, beat up, but with a 3-3-1 record on the trip. The first game after the circus trip is not always a good thing. The Florida Panthers came into the United Center after firing head coach, Gerard Gallant after a mediocre start to the year. It took till a shootout before the Hawks came up with the 2-1 shootout victory. 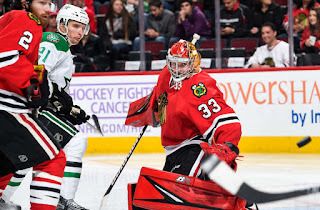 Corey Crawford had 38 saves and Richard Panik had 2 goals, including the shootout winner. The Panthers came out controlling almost every part of the 1st period, except the most important stat, the score. 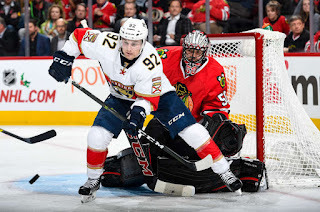 Panik broke out of a 17-game scoreless streak as he capitalized on a loose puck and deked Panther goalie, Roberto Luongo, to get the Blackhawks on the board late in the period, and a 1-0 lead after 20 minutes. Crawford and Luongo starred in the 2nd period as they both made some great saves to keep the puck out of the net. In the 3rd, it was the ageless wonder, Jaromir Jagr, who took a rebound during a Panther power play, and poked it past Crawford to tie the game at 1. For the remainder of regulation, it turned into a goalie clinic between Crawford and Luongo, as the game headed to overtime. Florida had over a minute of power play time during the OT, but the Hawks killed the penalty. In the last seconds, Crawford came up huge again to stop a breakaway to force things to a shootout. In the first round, Patrick Kane was stopped by Luongo. Crawford then stopped Vincent Trochek. Artemi Panarin was up for the Hawks in the 2nd round and deked Luongo with a filthy move into an open net. Crawford then stopped Aleksander Barkov. It was up to Richard Panik to get the game-winner, and he did so with a quick wrist shot that beat Luongo. Notable Mentions: Jaromir Jagr scored his 753rd career goal in the 3rd period. 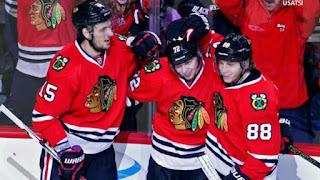 Artem Anisimov left the game in the 3rd period when he took a Duncan Keith slapshot off the inside of his right ankle. The Hawks blocked 18 shots during the game. Brian Campbell with 5, and Niklas Hjalmarsson with 4, led the way. For those who went to bed early last night, myself included, SURPRISE!! HAWKS WIN!! 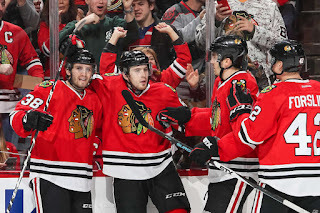 Vinnie Hinostroza and Ryan Hartman tallied 3rd period goals along with Artemi Panarin to help the Blackhawks erase a 3 goal deficit. 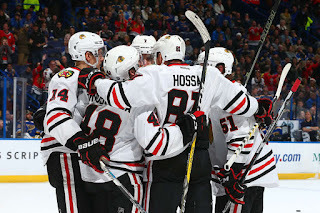 Marian Hossa finished off the comeback in overtime with his 2nd consecutive GWG, as the Chicago Blackhawks beat the Vancouver Canucks, 4-3. 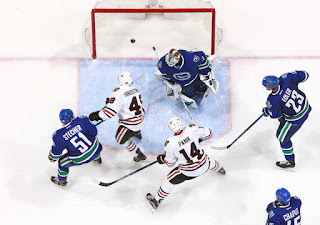 The Canucks started the scoring mid-way through the 1st period as Loui Eriksson found a rebound in front of Blackhawks' goalie, Scott Darling, and deposited it in the back of the net for a 1-0, Vancouver lead. 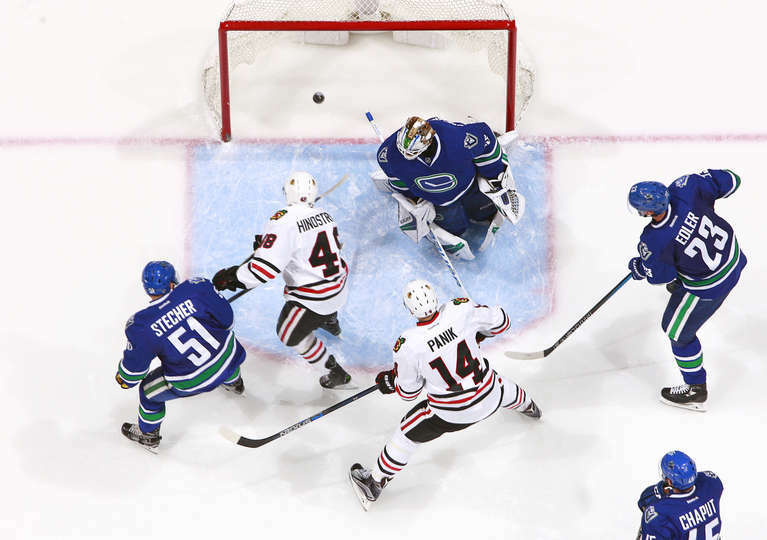 In the 2nd, The Blackhawks got their first powerplay in nearly 2 games, only to have Bo Horvat score short-handed to extend the Canuck lead, 2-0. 1:24 later, it was Brandon Sutter, yes, he's one of those Sutters, on a one-timer that beat Darling, stick-high, to make it 3-0 after two periods. The Blackhawks had a total of 11 shots through 40 minutes. One has to wonder the "talks" that go on between periods. The Blackhawks came out in the 3rd and threw 17 shots on Canuck goaltender, Jacob Markstrom. 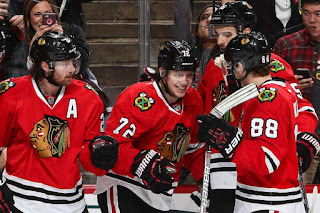 Panarin and Patrick Kane played catch across the ice on a give and go, and Panarin buried a one-timer to get the Hawks on the board 2:53 into the period. 1:13 later, it was Hinostroza collecting a rebound of his own, to make it a 1 goal game on his first career NHL goal. 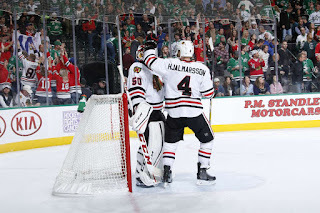 It stayed that will till there was less than 5 minutes remaining in regulation when Hartman was fed a nice pass from Hinostroza, that beat Markstrom, stick side to tie the game at 3. It was Hartman's 4th of the season. Then, with under a minute remaining in overtime, it was Hossa, from the top of the slot, wristing the puck beyond Markstrom, through an Alexander Edler screen, for the game-winner. Notable Mentions: For Hinostroza, it was a night to remember (1G 2A). In his first 16 NHL games, zero points. Hossa has been on a tear. In his last 12 games (10G 3A). 3 of those goals were GWGs. 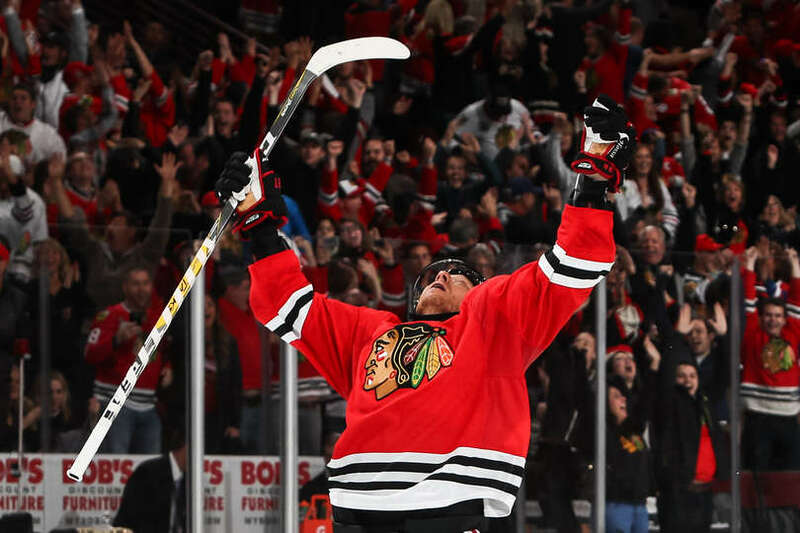 Hossa has 81 career GWGs, (14 in OT). 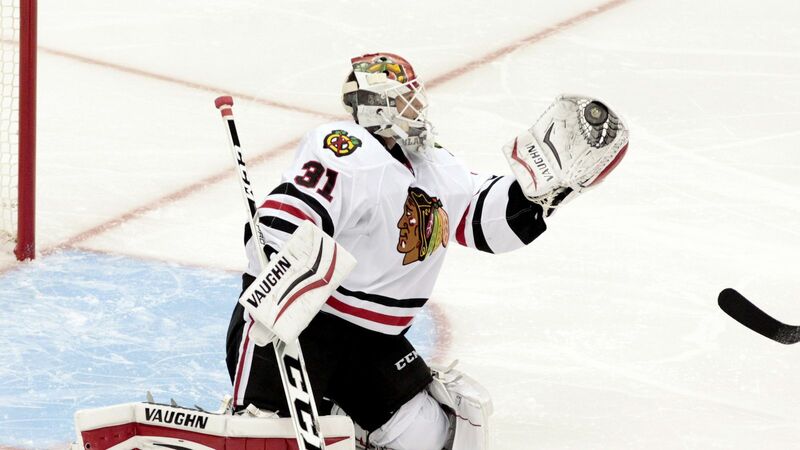 Darling had 24 saves in a game where the Hawks would never have gotten to overtime. There was a lot of "goalie" to go around last night. Both Darling and Markstrom stand 6'6". 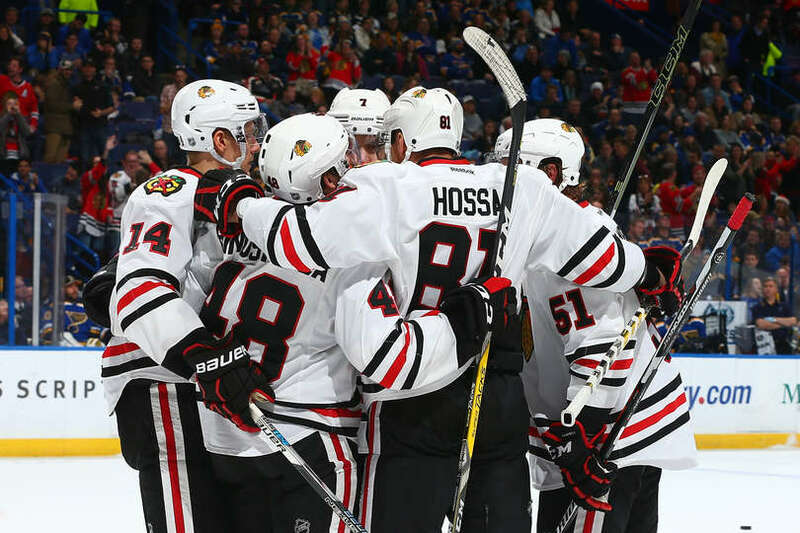 Blackhawks are now 18-1-2 in their last 21 games against Canadian teams. 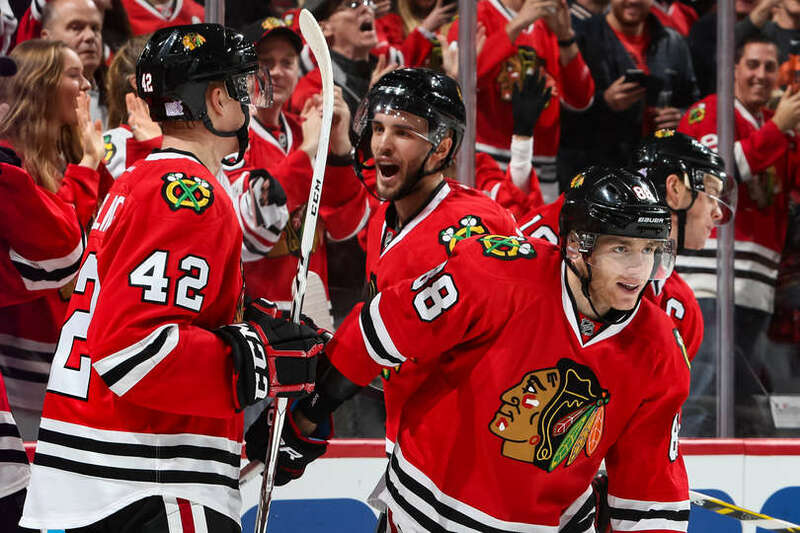 Kane's Highlight Reel Goal Lifts Blackhawks Over Canadiens, 3-2. A classic Original Six matchup at the United Center brought the Eastern Conference leading Montreal Canadiens (13-1-1) and Andrew Shaw against the Western Conference leading Chicago Blackhawks (10-3-2). Although Shaw was a presence all night (6 shots, 9 hits), it was a highlight reel goal from Patrick Kane that was the deciding goal in a 3-2 win. Gustav Forsling got the scoring started with his first career NHL goal on a slapshot from the point that had eyes as it made its way past Canadiens goalie, Al Montoya. It stayed that way till the 2nd, when Montreal scored two quick goals to start the period. Shea Weber with a toss pass to the net, deflected off of Michal Kempny's stick and over Crawford's shoulder. Then, Andrei Markov unloaded a high shot from the slot that sailed over Crawford for a 2-1 Canadien lead. 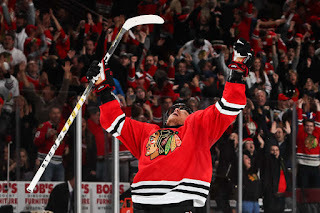 Half way through the 2nd, it was Marian Hossa picking up a dirty rebound and slamming it past Montoya to tie the game. Five minutes later, Kane performed a deke around two Candiens. Then while getting pushed down, he flipped the puck over the left shoulder of Montoya for a goal that is worthy of Goal Of The Year. It proved to be the game-winner although controversy went with it. Prior to the goal, a shot deflected off the netting, but play continued . Kane scored shortly afterwards. Coach Joel Quenneville on Kane's goal: "That had the wow factor all over it." 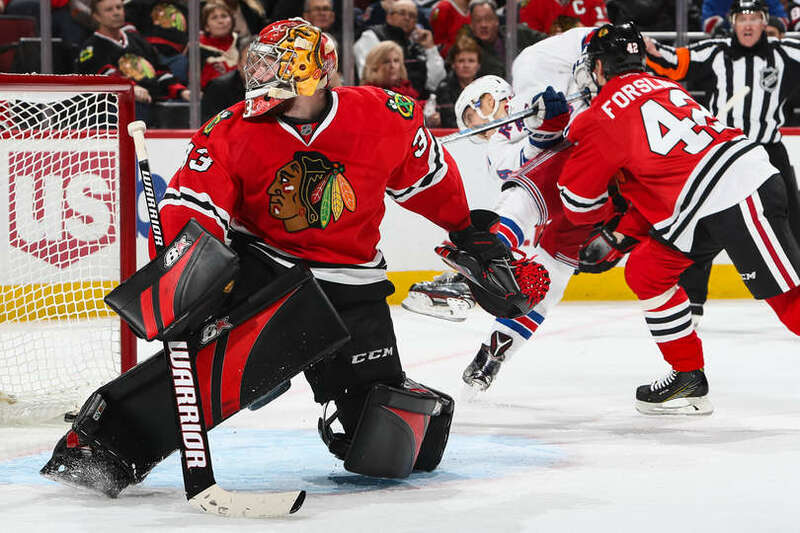 Crawford made 21 saves and had another stellar night of point blank stops. 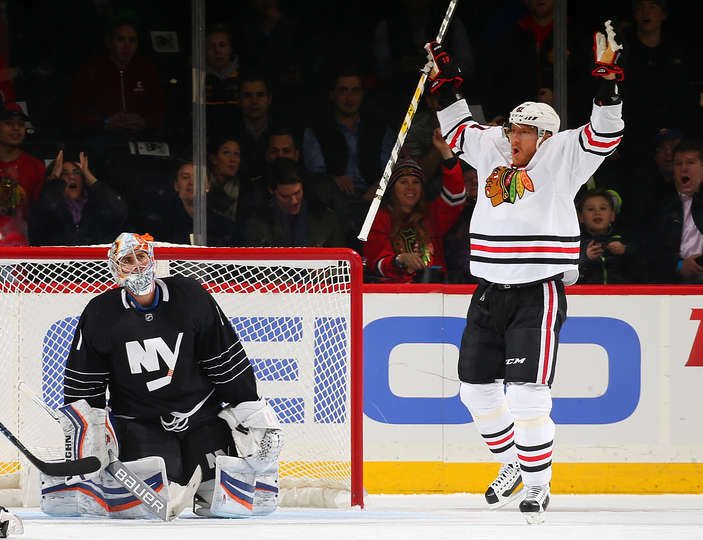 Hossa, when asked about Crawford's play: "This is the best I've seen him play. He's had really great years before, but right now he's at a different level." Notable mentions: The Blackhawks blocked 22 shots tonight. Brent Seabrook and Niklas Hjalmarsson, both, stopped 5 shots each. The win continues the Hawks' consecutive point streak to 11 games (9-0-2, 20 pts). Jonathan Toews has 10 pts (4G 6A) in his last 9 games. The Blackhawks hit the road for a 7-game road trip after tonight. Artemi Panarin had a Gordie Howe Hat Trick (1G 1A, 1 fight), yes, you heard me, FIGHT. 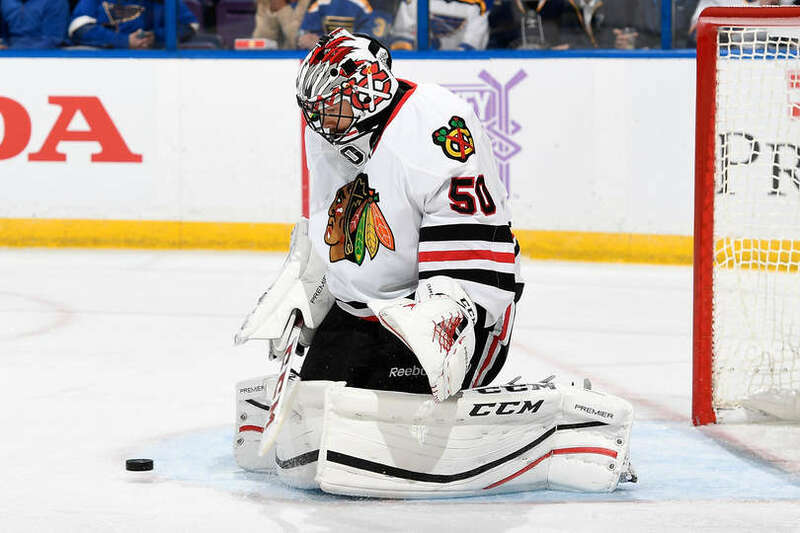 Corey Crawford put on a goalie clinic with 27 saves and was within 2:11 from getting his 3rd shutout of the season, but the Chicago Blackhawks prevailed in overtime against the St. Louis Blues at the Scottrade Center, 2-1 for their 7th win in a row. Blues goaltender, Jake Allen stopped 28 shots and traded save for save with Crawford throughout the game. 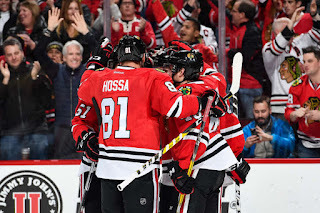 The first period ended scoreless and it wasn't until 1:22 into the 2nd period, when Marian Hossa scooped up a juicy rebound from a Gustav Forsling shot, to give the Hawks a 1-0 lead on his 7th goal of the year. Crawford shined in the 2nd period with numerous point blank saves, including a stretched out toe save from a one-timer from Vladimir Tarasenko in the slot. The period ended, 1-0 going into the 3rd. Again Crawford and Allen traded save for save as both goalies were very good tonight. Artemi Panarin traded blows with Scottie Upshall late in the period and the Breadman stood his ground. Who knew? After he went to serve his 5 minutes, and with Jori Lehtera screening Crawford, a Alex Pietrangelo slapshot made its way through the legs of Crawford and trickled in the net to tie the game at 1 with 2:11 remaining in regulation. While Panarin served his penalty, he was missed on a Blackhawks power play. With 1:36 left, Pietrangelo was called for a delay of game penalty as he flipped a puck into the stands. With Panarin still in the box, regulation ended and the game headed to overtime. With his penalty served and a stoppage of play, Panarin wristed a shot from the top of the faceoff dot, with Jonathan Toews screening Allen in front of the net, and netted it over the left shoulder of Allen for the game-winner. It was his 6th goal of the year. Notable Mentions: Artem Anisimov left the game late in the 2nd period with an upper body injury. He is listed as day to day. His career high, 11-game scoring streak comes to an end. With their win, the Hawks are sitting 1st in the Western Conference with a 10-3-1 record. 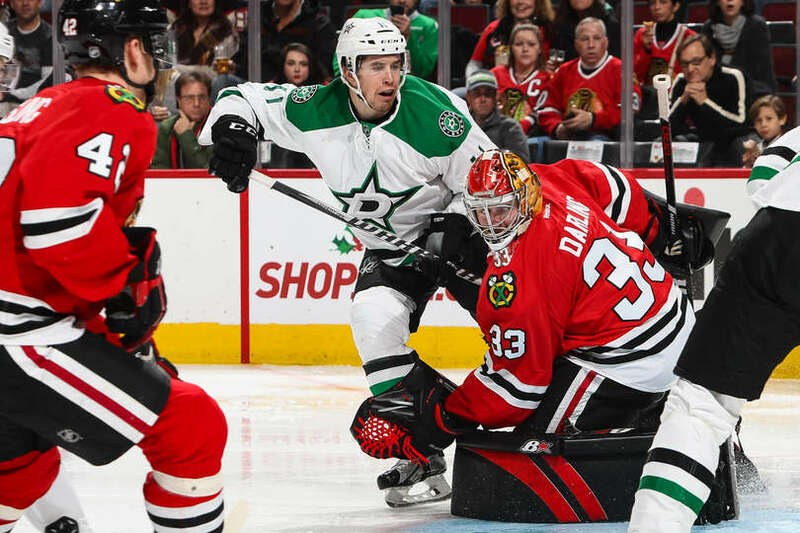 The Chicago Blackhawks and Dallas Stars faced off in the second half of a home and home series at the United Center tonight. 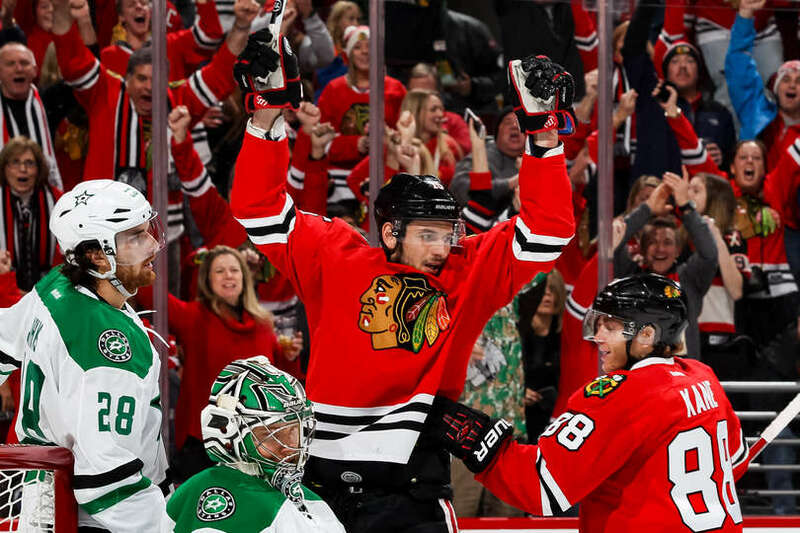 The Hawks won their 6th straight game as they shot down the Stars, 4-3 in overtime thanks to Marian Hossa's game-winning goal, his 1100th career point. 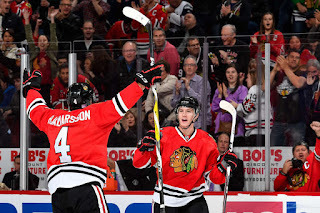 Scott Darling made 32 huge saves, and Jonathan Toews chipped in with 3 points (1G 2A) to lead the Hawks. It didn't start well for the Hawks when Tyler Seguin cashed in on a Stars power play to give them a 1-0 lead after one period. Then in the second, the power play failed the Hawks this time has Gemel Smith,on a breakaway, while short-handed, flipped a backhand shot past Darling to make it 2-0, Stars. Just under two minutes later, the Hawks got on the board. 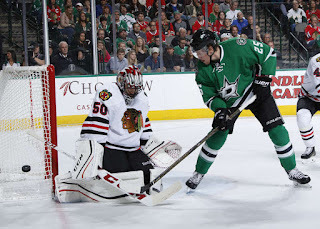 Toews, threw a nice saucer pass to Patrick Kane, and put him in alone, as he flipped a back-hander of his own past the sprawling Kari Lehtonen, to cut the lead to 2-1, at the end of two periods. Then, the Hawks struck twice in the first five minutes of the 3rd. Within :56, Toews received a brilliant fake shot/pass from Hossa to tie the game at 2. Then, it was time for an Arty Party, as Artem Anisimov took a rebound shot from Toews, and slammed it in the back of the net to give the Hawks a 3-2 lead. It wouldn't stay that way, as the Stars pulled Lehtonen for the extra attacker and struck with 1:20 remaining in regulation on a neat deflection from Smith again, his first two career NHL goals. Both, very nice. It would go to overtime, The Hawks had to kill off a Kane hooking penalty. Only to see Darling sprawl out for a textbook example of a skate save, before Hossa slapped a shot from the point, with Anisimov blocking every inch of Lehtonen from seeing the shot for the game-winner. Notable Mentions: Anisimov has now scored in 11 straight games (8G 9A) and leads the NHL in goals and points. Tyler Motte did not return after getting run into the boards hard in the second period. Toews was a beast tonight (1G 2A), 7 shots, 2 hits, and won 73% of faceoffs (19 of 26) and lead forwards with 23:07 TOI. Darling approved his record to 4-0 with the victory tonight. The Chicago Blackhawks won their 5th game in a row by topping the Dallas Stars, 3-2 in the first half of a home and home series. Patrick Kane had a goal and an assist, and Corey Crawford stopped 31 shots. It didn't take long for the Hawks to get on the board. 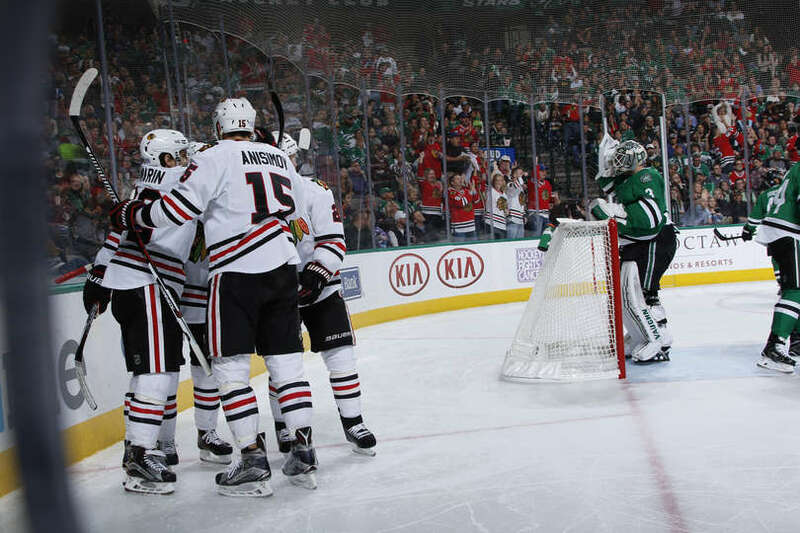 Just :11 seconds in, Richard Panik scored his 7th of the season, as he poked one past Stars goaltender, Antti Niemi. The Stars would double that later in the period on a pair of goals by Brett Ritchie, and Curtis McKenzie, giving the Stars a 2-1 lead heading into the 2nd period. In the 2nd, the Hawks tied the game on a Ryan Hartman slapshot over the shoulder of Niemi. Tyler Motte's initial shot grazed the crossbar and rolled straight to Hartman. Shortly after, on a power play, Kane gave the Hawks a 3-2 lead on his 4th goal of the year on a one-timer from Artem Anisimov. "It was a great play by [Anisimov] at the net, finally came out on the weak side there," Toews said. From then on, it was the Corey Crawford show as he stopped 12 shots in the 3rd period. Within the last 2 minutes, Marcus Kruger was called for a 4-minute double-minor penalty. 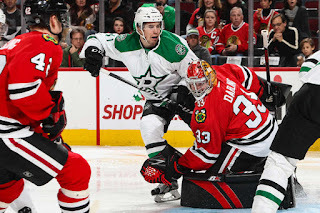 With the Hawks down a man, and the Stars with an extra attacker on the ice once they brought Niemi to the bench, the Hawks had to fight off a 6-on-4 power play to win the game. "You don't want to be in that situation at the end, but our guys played it really well," stated Crawford after the game. "They stayed patient, especially with the extra man on for them. Our PK has been really confident of late. That was another solid win for us." Notable Mentions: The Blackhawks penalty killing unit has definitely been playing well as of late. They've killed off their last 15 penalties. 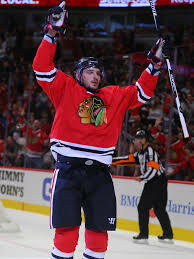 Artem Anisimov's assist on Kane's goal, extends his career high point streak to 10 games (7G 8A). Niklas Hjalmarsson recorded 8 blocked shots in the game. Ryan Hartman, had possibly his best game as a pro last night. He was a agitating presence on the ice with 3 big hits to go with his goal. They were hoping he would be the replacement for Andrew Shaw. The :11 goal to start the game was the 2nd fastest goal in team history (:08 Brent Sutter, 2/5/95, @VAN).